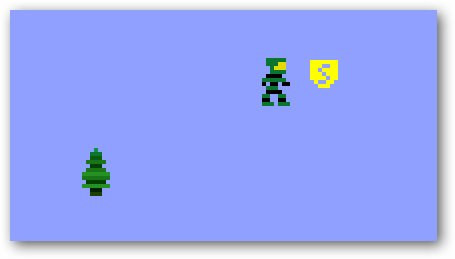 Have you ever wondered what Halo would look like if it were created during the Atari 2600 days? 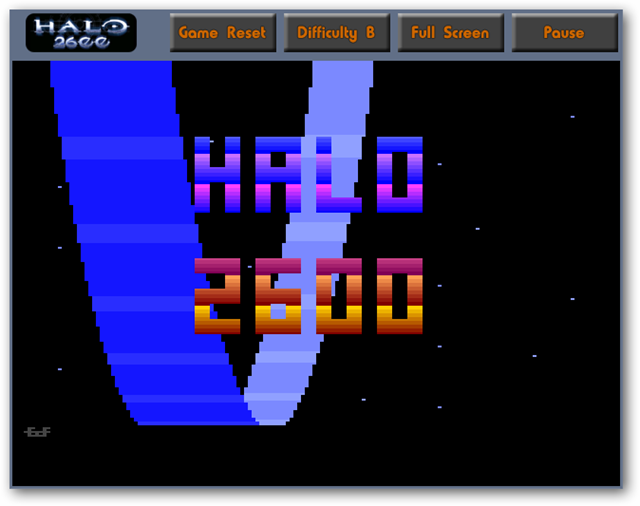 Since everyday is a good day to have fun on company time, today we look at a cool and unique take on Halo with Halo 2600. 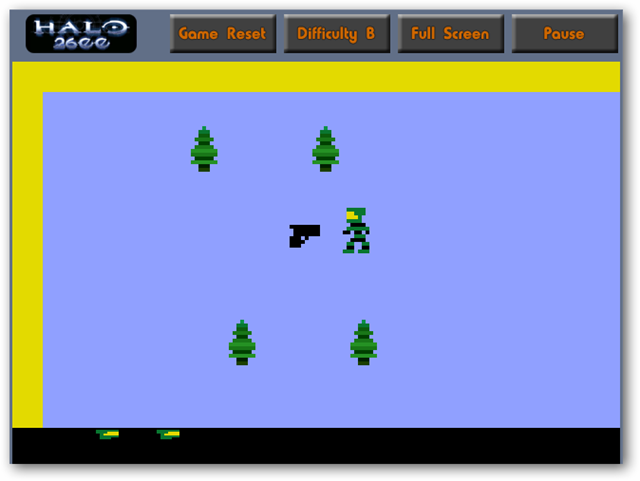 This is a free online flash game based on the popular FPS Halo, but designed for as though it came out on the Atari 2600. To start the game press any key on your keyboard. Then use the arrow keys to navigate through your journey. At first you don’t have a weapon so make sure you grab it before trying to deal with the aliens. Then avoid the enemy shooting at you and press the spacebar to shoot back. As you navigate through the game, you’ll experience different levels with new challenges in the Atari 2600 way. It included shields for extra protection against enemy fire. Don’t run your character into the yellow boarders or you lose a life. 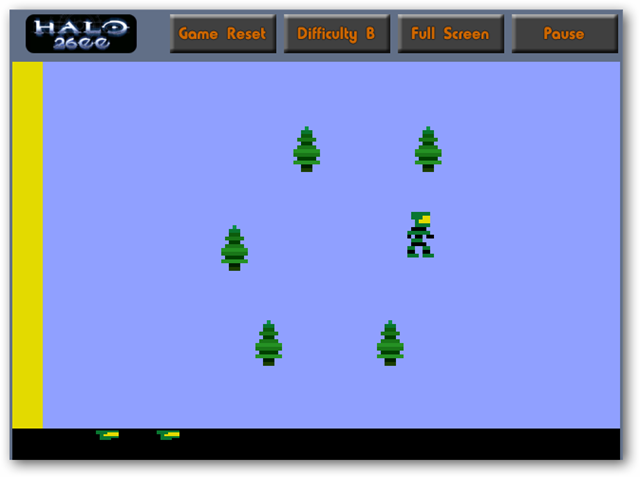 The controls at the top allow you to reset the game, change the difficulty, pause, and go to full screen. If you’re looking for an interesting way to waste time at work, this unique take on Halo is definitely worth a try, and can be a lot of fun if you were a fan of the Atari 2600. Very cool in a geeky way!